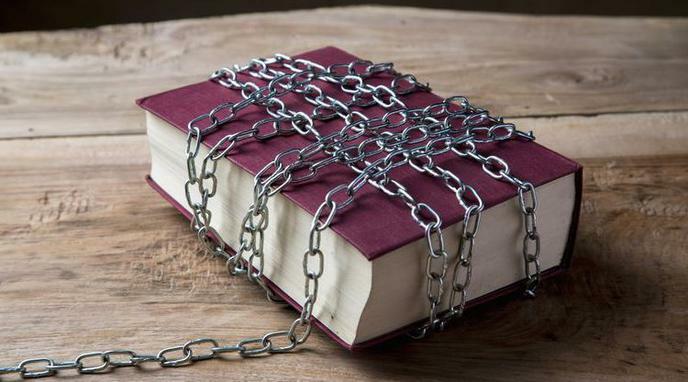 Book banning is a tool of authoritarian institutions. Nazis banned authors who wrote things that disagreed with their politics or for ethnic reasons. Clearly they intended this as a way to suppress criticism and to help stay in power. People's Republic of China has banned books to suppress ideas that differed from the officially sanctioned ideas. Index Librorum Prohibitorum was the Catholic Church's official list of books they wanted suppressed in order to eliminate heretic ideas. actively lobbied for a global ban on what it perceives as anti-Islamic blasphemy. What some label authoritarianism may in fact be a good thing. Only 60% of the US population voted in 2016. The other 40% have better things to do than make decisions about how their country is run let alone which books to read. Many books never get checked out anyway, why not reduce this down to a core set of vetted and approved items from a centralized group of selectors. Having a centralized authority reduce the signal to noise ratio for you allows you to make choices easily. Too much choice is tyranny.